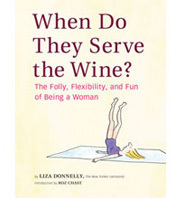 International Cartoonists at TEDWomen | When Do They Serve The Wine? The cartoon above is one from my TED talk. I spoke about cartoonists from around the world, and in context, discuss my particularly American perspective as a cartoonist. Of course, not that I would say what the woman above is saying, but I am making fun of people who might! Before I left for Washington, I posted a slide show on the site I edit called World Ink. 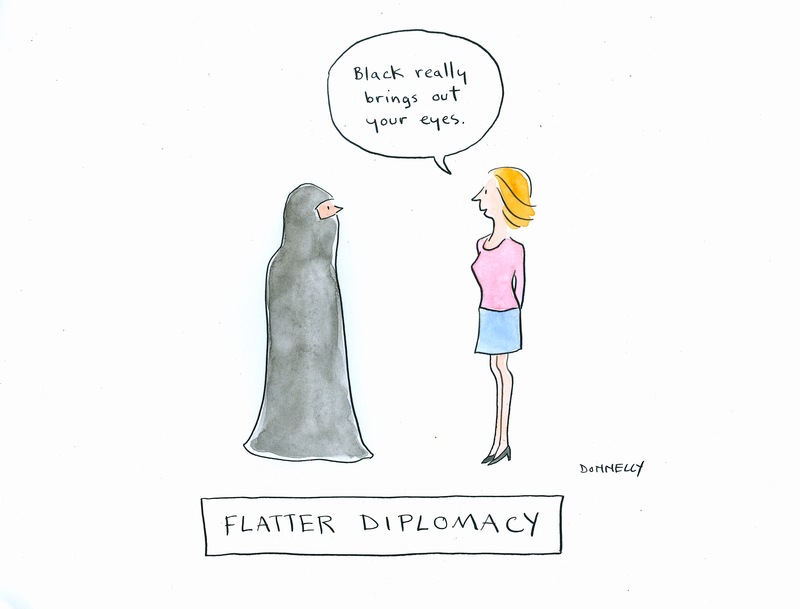 These are all of cartoons from the exhibit I curated at TEDWomen. The exhibit is men and women cartoonists from around the globe responding in their visual styles to the statement “The fun, folly and fleibility of women.” Here is the link. The conference has been wonderful, and my talk went beautifully. I wasn’t nervous, which surprised me! Here are some photos from the day’s events. I will write more when I return to New York. This entry was posted in News, Random but Relevant and tagged cartoons, dscriber.com, international, TEDWomen, World Ink. Bookmark the permalink. Congrats, Liza! What a wonderful honor. Can’t wait to see the video. Enjoy every moment of your time at TED! It is lovely, funny and surely make me think.